Take your business as it is, child, and praise Divine Love that there is a strong, wise way out of your dilemma. In these turbulent times, it’s easy to identify with the farmer whose crops have been consumed by a horde of hungry locusts. I remember the description by Laura Ingalls Wilder of the aftermath of locusts, how they arrived in a dark cloud and left destruction behind them. Right now people are still sowing the wind, reaping the whirlwind, as they allow irrational anger or fear-based thinking to rule their lives. But the troubles and difficulties of these times do not overwhelm or dismay God. There is a peace which passes understanding available, and there is a blessed way through the dark night of the soul. Whether it is a financial issue, a family affair, or a difficult decision that can no longer be postponed, the steadying Presence of God is always there for you, if you will release your frantic thinking and enter into grace. One way to open to the new good that wants to come into your life is to release your resistance to what is happening in this moment, especially if it is difficult or feels like a painful struggle. This moment is as it is because every choice you’ve made, everything that has been happening to you and around you, is the culmination of all the moments that have come before. The universe is as it is right in this moment, and when you resist this moment, you are resisting the entire universe. Accept people, situations, events, and conditions as they occur. Remember you are reacting not to the situation itself, but to the feelings you have about the situation. Drop your defensiveness and cease your struggle. Take a deep breath, accept what is, and then take responsibility for how you feel and how you choose to respond in THIS moment. Let go of your old stories. Get quiet. Open your mind and heart to allow a creative response to the situation to emerge. Every problem contains the seed of opportunity when you are willing to surrender your limited thinking and enter into the spacious potential of the Divine Presence within. The past cannot be changed, but your perspective on what was happening can be. Mentally and emotionally you can choose to see that you were growing into greater understanding because of the difficulties, and that the wisdom you gained is making it possible for you to experience a greater good. Release all anxiety or condemnation about the past and embrace the fact that every event, situation, or person taught you valuable lessons about who you are and how compassion and forgiveness can create room in your heart for a new season of love, peace, and prosperity. Wisdom gained in difficult times can enrich your life forever. Those experiences prepared the way for a larger good to enter your life. Joseph told his brothers, “You meant evil against me, but God meant it for good.” (Genesis 50:20) Spiritual principle says that the past is not wasted or futile, for God was always there with you in it. And this moment is your opportunity to recognize that God is in this time and place, here for you. This moment holds the seeds of an expansive and wonderful future, if you are willing to be mindful, to believe and to act on that belief. One summer we had a terrible drought in Tennessee. Everything was hot and dry and miserable. The trees were hit by a double whammy that year, for there was an early spring blooming cut off by such a deep freeze it destroyed the first wave of leaves and the trees had to expend double their energy to create a second growth of green. It was strange to walk at Lake Radnor with the silence of dead leaves and the scent of dead vegetation instead of the usual flowering fragrance of spring. Then insult was added to injury when the second growth of leaves faced a dry summer with record-breaking heat. I wondered if the trees and plants would survive. Summer ended late, then winter finally brought rains, and the rains fell more plentifully than usual. The following spring there was a fierce and abandoned blooming, as if all the trees and plants were making up for lost time and flaunting their flowers in perfect abundance. I had never seen such lush blossoming on the black locust trees, which smell so sweet in spring. It was a good year for the dogwood, too. I may never see a spring so alive and amazing as the one that followed that terrible drought. Know that every problem is an opportunity in disguise. Choose to stay alert and transform this moment to greater benefit. Remember that God is your partner, and as you connect to the peace and potential within, something new and beautiful can unfold, restoring the years the locust has eaten. It is certain that you cannot believe in abundance while identifying yourself with lack. Forget the lack and think only of abundance. Control your mental reactions so that they automatically become affirmative. Your attention has result-getting power, so be careful what you give your attention to. Your attention is your faith. The courage to face the trials and bring a whole new body of possibilities into the field of interpreted experience for other people to experience—that is the hero’s deed. Only when we are sick of our sickness shall we cease to be sick. The sage is not sick but is sick of sickness; this is the secret of health. Goodness needeth not to enter the soul, for it is there already, only it is unperceived. Within me is the unborn possibility of limitless living; mine is the privilege of giving birth to it. God is hiding in the world and our task is to let the divine emerge from our deeds. No matter how qualified or deserving you are, you will never reach a better life until you can imagine it for yourself and allow yourself to have it. The basic principle of spiritual life is that our problems become the very place to discover wisdom and love. The basis of all healing is a change in belief. The world fears a new experience more than it fears anything. Because a new experience displaces so many old experiences. It is our duty—as men and women—to behave as though limits to our ability do not exist. We are co-creators of the Universe. That was the moment when the change began. It had to begin inside before it could show on the outside, and the miracle that she’d dreamed of had taken place, not in an instant, but with a slow yet steady progress, like a seed germinating in the warm spring earth. Behind it, yet within our reach, is joy. Take joy! I am one with the Creative Life Force that makes all things new. This is my season of Divine Restoration and I claim my good now. This is the beginning of my wonderful new life. The old life is now morphing into something fresh and new, exciting and prosperous, and a lot more fun! Debt and money issues are totally resolved and dissolved. I have more than enough finances, resources, time, and energy—to spare and to share. I enjoy vibrant health. I live in perfect peace and divine timing, and I have plenty of time, energy, and abundance. I am totally supported by the Universe and miracles are happening right now. The Universe delivers more than I could ever dream or imagine. Thank you, God, for these blessings and abundant manifestations. I am so happy that they are a reality in my life. We know nothing until we know everything. And a hundred more appear. You never change things by fighting the existing reality. To change something, build a model that makes the existing model obsolete. You must become a chaos before giving birth to a shining star. I have been involved in the publishing industry in one form or another most of my adult life. Now the form is changing in these transformational times. I spent the last twenty years writing marketing materials and creating special projects for book publishers, as well as building my career as an author (and songwriter/artist/singer). The bottom fell out of my copywriting business a year and a half ago. The bottom fell out of my author career last June. I have floundered and flailed over the last year, trying to find my way in this changed landscape. In the process, I discovered that the paradigm has shifted in publishing. The financial meltdown accelerated the change, but it’s been building for a long time. Because I went so deeply into debt and because the old model dropped me down hard, I was forced by sheer necessity to be open to new ideas, new ways of doing things, and possibilities I had never imagined. Now the dust is clearing, and I’m happy to share some of what I’ve discovered with you. • How to clearly define a life plan that looks and feels like a well-fitting shoe. • How to choose a sticky business idea. • How to find your people, who are interested in your product or service and have the money to pay you. • How to identify a successful business model. • How to choose which business to start. • You will have a framework, structure and plan to make serious progress on your business. • You will have a concrete, pragmatic way to work with your fears so you don’t feel overwhelmed or filled with anxiety. • You will have greater confidence in your ability to provide for yourself and your family. • You will know how to expand your circle of peers, mentors and teachers. • You will have access to great resources and people to help you figure out exactly what you need along the way. And here are a few more resources especially for those who are trying to understand evolving new models for publishing. This is why I released The Heart of Abundance as a free e-book. Check out Smashwords.com (you can follow the quick link to The Heart of Abundance and it will take you there) and read Mark Coker’s blog. He also posts regularly on Huffington Post. He’s a true visionary, and that’s why I’m so happy to publish my e-books with his company. I’m also thrilled that Smashwords now offers ISBN numbers (publishing geeks will know what this means) and that Smashwords has not only set up strategic partnerships with retailers like Barnes & Noble, but will also be Apple iPad ready. If you’re considering publishing an e-book, check out Smashwords and learn about their services. Because I publish my text-only e-books with them, you can download my e-books in any format of your choice. Way cool. More announcements about partners and online goodies will be coming soon. The Internet elves are busily working in computerland to bring you all special gifts of joy and love. 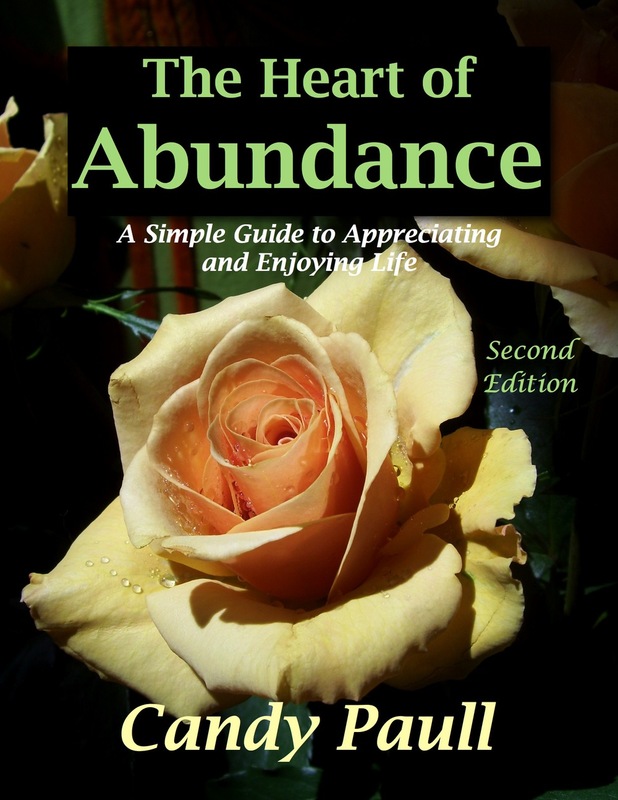 And don’t forget to download your free copy of The Heart of Abundance now! what you write and feel I have found a kindred spirit in you. If you are like me, you may be seeing old life patterns fall apart and fall away. Sometimes the loss feels overwhelming. But lately I’ve begun to see that the chaos is actually a birthing process. These birth pangs are painful and can feel frightening. I choose to believe they are part of a new life I’ve been gestating for a long time. There is a divine wisdom and timing at work in all of our lives. Today’s crisis can be an opportunity for great healing and rebuilding in our lives. It is a chance to take another look at our limited thinking and toxic choices. It is also a season for preparing the space for something new and better to enter our lives. It is up to us to decide if we will choose to view our troubles and losses from a higher perspective. Human troubles cannot trump spiritual realities. We all carry within us inner greatness and potential. It is our birthright as human beings in God’s complex creation. We are called to be co-creators with God. 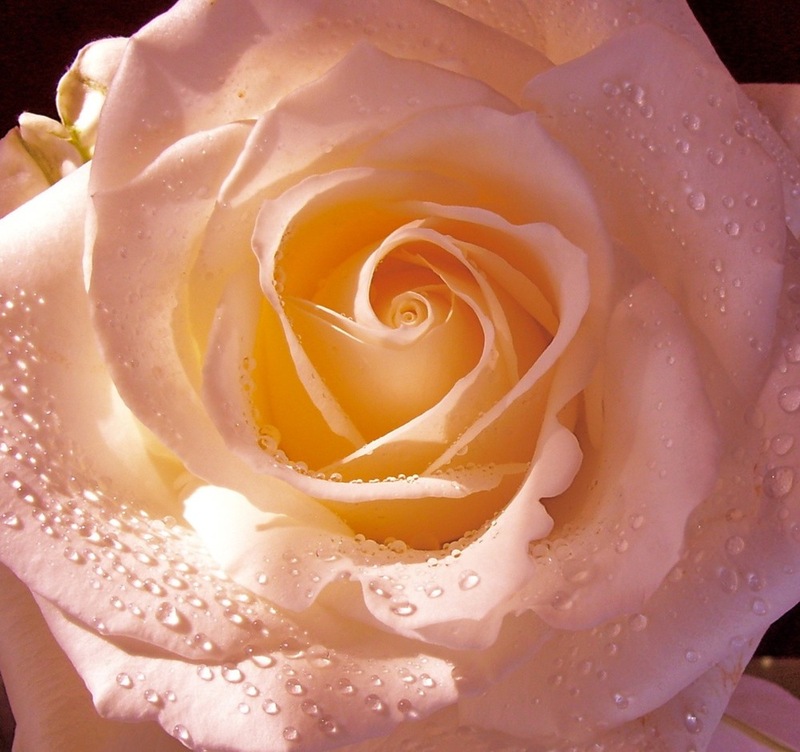 There is a deep wisdom and flow of energy working in, through, and for us as grace unfolding. Times of stress and crisis can be great catalysts for growth, forcing us to make needed changes. The older I get the more I realize that all things must change and there is no holding back the tides of change. I can either resist change or allow the change to transform my life in positive ways. It is my choice. When I resist change I lose the fight every time. Change comes whether I want it to or not. It is easier for God to move me into healing and hope when I am flexible and open. I can move with the flow of change and see where it leads. These times of crisis and turmoil can feel overwhelming. But a choice to see this from a higher perspective opens the door to new and better ways of approaching our lives. Sometimes it takes a shake-up to wake us up. We can be willing to release that which no longer serves us and open our minds to new ideas. We can learn to see our troubles less as problems to be solved and more as challenges calling us to grow and evolve. It is amazing how a even a tragedy or “fall from grace” can be the door to something wonderful that could never have been if our hearts had not been opened by loss. It is the nature of the Universe to be for us, not against us. Sometimes this is difficult to see in troubled times. One of the strange paradoxes Jesus talked about was that you would have to “lose your life to save it.” We’ve all been losing our lives lately, but the demolition and chaos are the beginnings of the birth of stars, “saving” us in ways that have the potential to create greater joy and healing and abundance for the whole earth. Like water, the sage should wait for the moment to ripen and be right; water, you know, never fights. It flows around. Affirmation: As I open to change I see all the pieces of my life move into new and happier and more prosperous patterns of grace. I trust that these crises I am experiencing are actually the birth pangs of the new life, creating abundance and joy in unexpected and wonderful ways. I was thrilled to hear from Diana Wimber, a friend who has walked through deep waters in the past year. She and her husband are celebrating a special anniversary. She says, "Today is Paul’s one-year anniversary since his surgery. In all the CT scans and endoscopies since his surgery they’ve not found any evidence of disease. We are so thankful to God, because though Paul had great doctors, we know WHO is preserving his life." May they celebrate many more years of health, happiness, and prosperity together! I am so grateful to Candy that the wisdom she has gained is shared with others. While going through a personal "crisis" aka opportunity to embrace change I happened upon The Art of Encouragement. I was inspired to buy it. For the following 30 days it became a life-line. Candy gave me a most-needed hug although she is a thousand miles away. I recently lent The Art of Encouragement to a friend who was in need of it. When I handed to her I knew I would purchase another copy. That is what I was doing tonight--looking where I could buy it. And I found this blog--it is manna from heaven. I am ready and excited to utilize the affirmation recommended here. May the healing continue. Thanks for blessing me (and now my friend) Candy.